Find swimming poolside showers great for rinsing off before or after swimming. 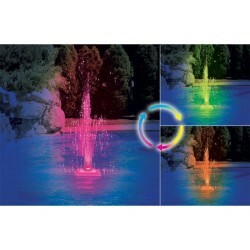 We also offer water fountains to enhance your pools look. Free Shipping on all orders! This mesmerizing display of lights works on water pressure alone – no batteries required! 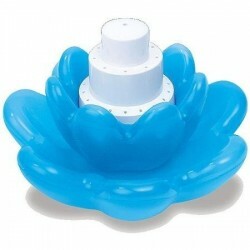 Installs quickly onto pool's return fitting without any tools. This solar shower provides a convenient way to rid swimmers of pool chemicals after a dip in the pool, but is also gentle enough to present anyone with a refreshing rinse of solar heated warm water at all times of the day. Enjoy a refreshing shower outdoors in sun-warmed water before and after your swim.